The Island of Enchantment on Market St.
For many San Franciscans, driving over the Golden Gate Bridge is often followed by hiking in the Marin Headlands or wine tasting in Napa Valley. But it seems that many are also discovering one of my favorite lunchtime destinations and making a special trip to San Rafael just to eat at Sol Food. For the uninitiated, I am talking about quite possibly the best place for authentic Puerto Rican food outside La Isla del Encanto. So when I learned that SF Food Lab was hosting a Sol Food lunchtime pop-up in San Francisco, I took no chances and was the first in line half hour before they opened. 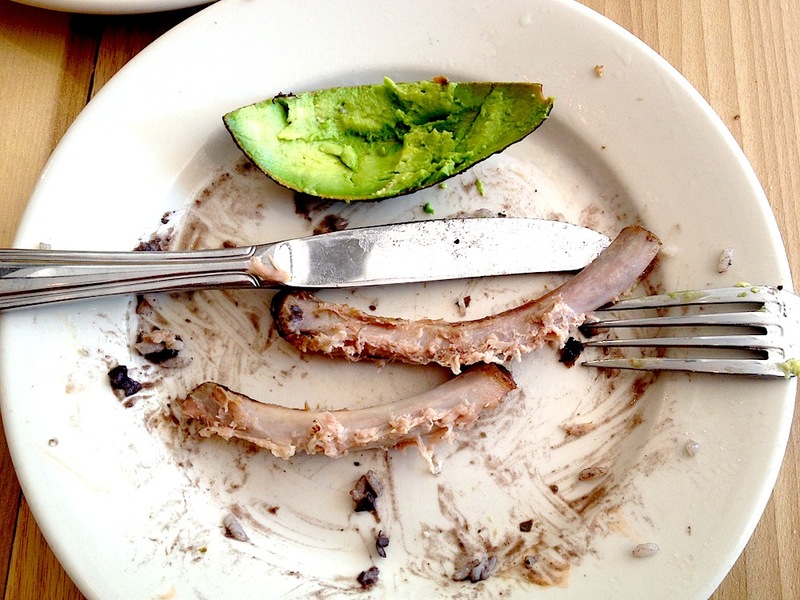 By 11:30 AM a piece of avocado skin and two ribs with teethmarks on them were the only evidence that I had eaten there. But I also witnessed a beautiful interaction that evoked nostalgia for home and reminded me that food is something that defines our cultural identity. 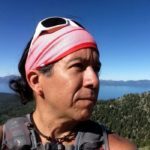 I sat at a table where I could see people walk by on Market St. and so far two Latina girls, two men with beards and baseball caps, and a couple came in. Then I saw the young man who almost walked by but stopped to stare at the sign on the window and the red, white, and blue flag of PR hanging by the door. He stepped in, keeping one foot outside the doorway, took off his glasses as if he was taking off a bowler hat, and smiled at the woman behind the counter. He was wearing jeans and a t-shirt but had an air of dignity that still remained from all the times he wore a dark suit, pressed white shirt and tie even in a hot Summer day. A caballero, an old school gentleman that was proper, polite, like a character from a magical realism novel by Garcia Marquez. With dark features, short curly hair, and a thick accent, he looked mesmerized as if about to walk into an oasis that wasn’t there the last time he passed by this spot. Do you serve Puerto Rican food here? We are open for lunch all week. No, no dinner, only lunch. There was a hint of restrained flirtation combined with sincerity in the way he talked, and I could tell he really missed his home. After all, when food defines our identity, and gives us an opportunity to express love, it’s the first thing we miss when we leave home. He put on his glasses, gave an almost imperceptible bow, and as he disappeared into Market St., I made a wish: that he find his way back to this island of enchantment, and that lunch here helps him miss his home a little bit less.